There are quite a lot of restaurants stand in a row around the Juknokwon, Damyang area. 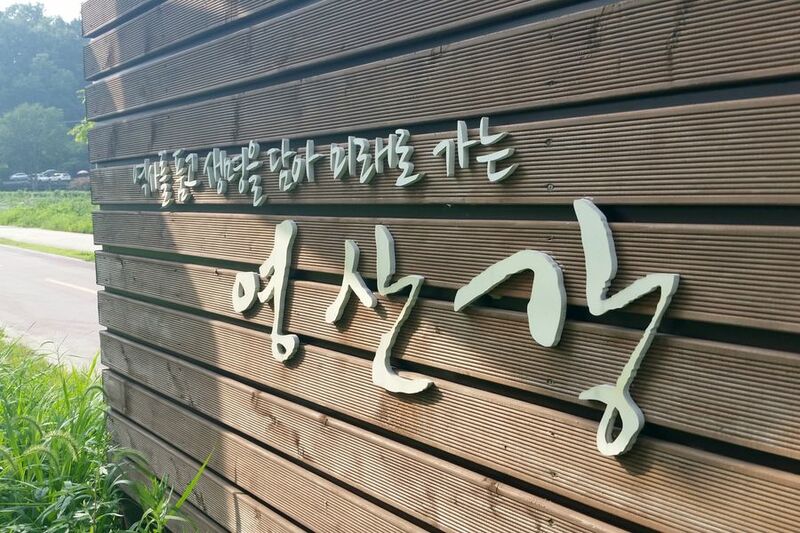 Damyang is famous for the bamboo, so there are grand restaurants specialized in Juktongbap(Rice in bamboo tubes) and a specialty of Damyang, Tteokgalbi(Grilled short rib patties), on the left side of the entrance. 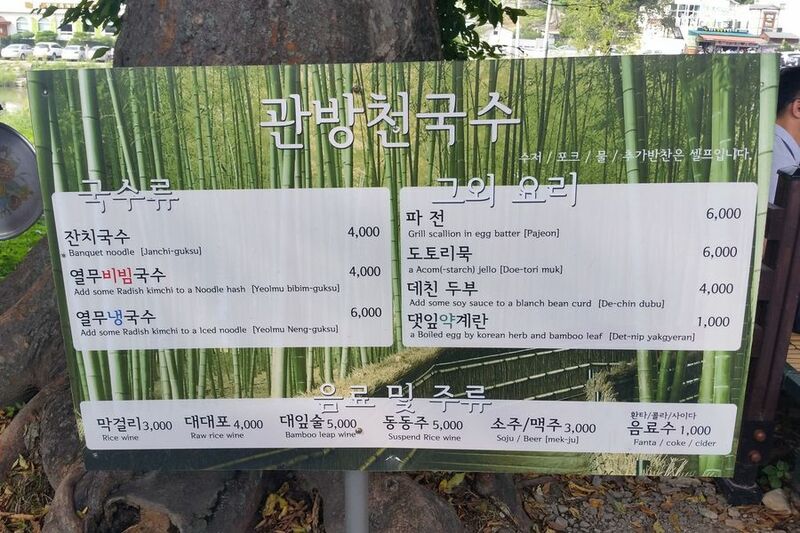 Believe it or not, there are bamboo ice cream, bamboo latte, bamboo OO, etc. I can find quite a few places that just added a word, bamboo, to the name of restaurants. 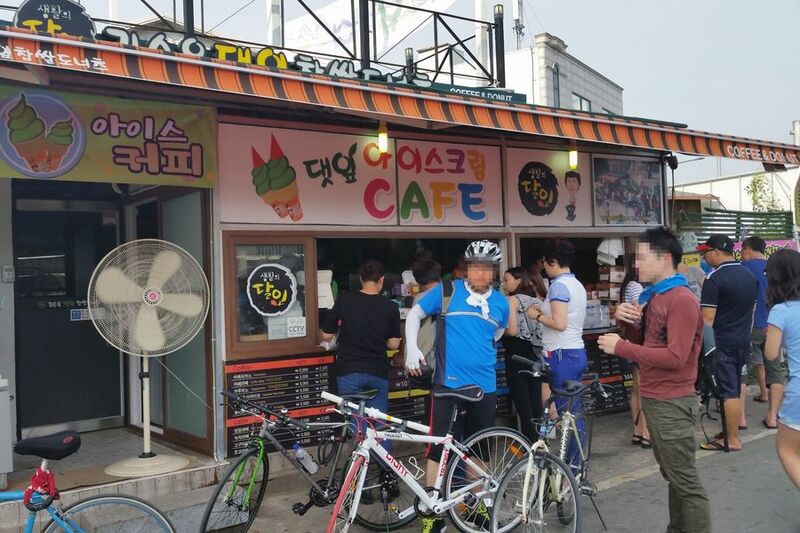 The hottest place among these restaurants is 「Kim Sun-ok Chapssal Donuts」. Even though it looks a small market stall, the entrance is very crowded due to the appearance on TV. As the name suggests, Chapssal Donut is the main item. Plus, you can get diverse beverages including coffee at quite low price. Nine out of ten people will choose Chapssal Donuts. In the Juknokwon, I saw many people eating something out of certain boxes. It should have been Chapssal Donuts. 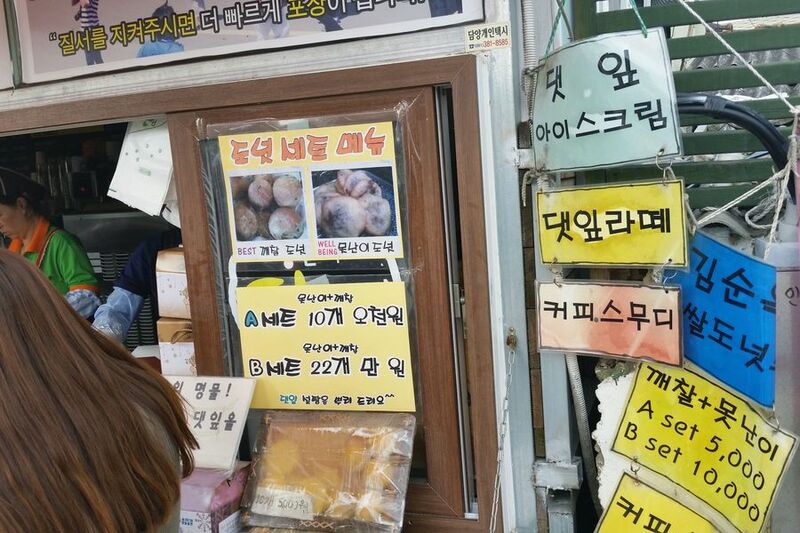 It is 5,000 won for 10 donuts and 10,000 won for 22 donuts. What's more attractive is that you can try ugly Donuts as much as you like for free. That is the reason why we came here. 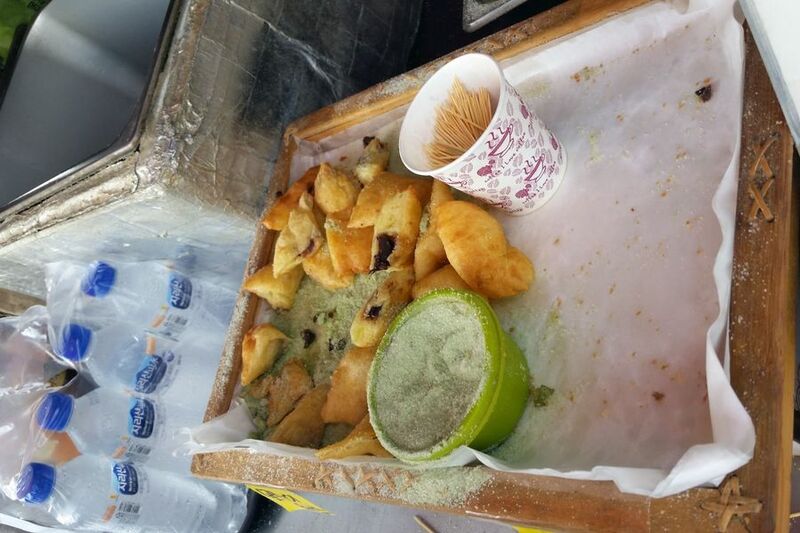 They seem not well arranged, but sample food are not regarded as just failures. They are put with other sale goods. I waited for buying donuts for a long time but it seemed not to shorten soon. I picked up and tried sample donuts. 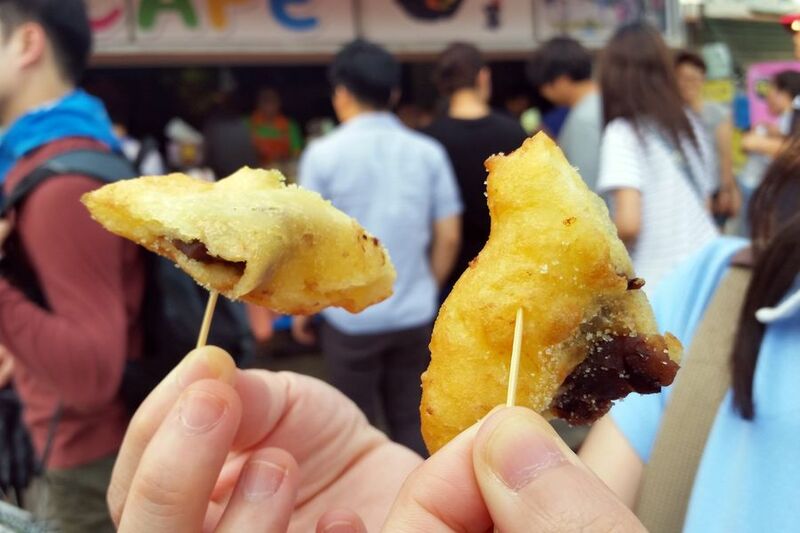 As the popularity proves, freshly fried donuts filled my mouth with savory and sweet flavors. Good~~!!! It might be perfect to come here and buy one box of donuts like packing lunch before going around the Juknokwon. If you plan to visit Juknokwon, I recommend you to go there with these donuts. Not only bamboo is famous in Damyang. Yeonsan River that flows from Damyang to the West Sea through Gwangju, Naju, and Yeongam is also one of the famous views. However, the Yeonsan River was not clear as much as the water valley that I appreciated before. Instead, we had an old forest created along the riverside. 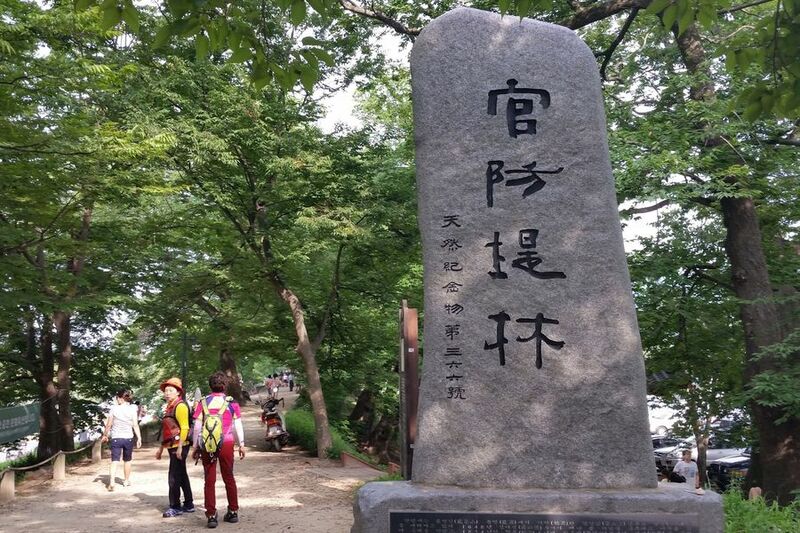 You can see 「Gwanbangjerim」, Natural Monument Number 366, here. The Gwanbangjerim is located across the bridge from the Juknokwon, so tourists usually drop by here as well. 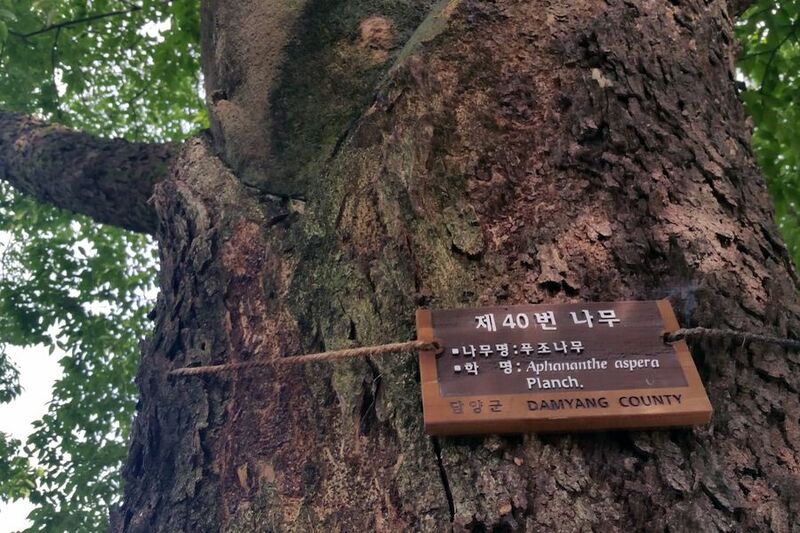 It's told that during the King Injo's period in Joseon Dynasty, a governor of the county built a dike to prevent frequent flooding of the Yeonsan River and planted trees to support the dike, so this Gwanbanjerim has been made with these trees. Planted trees are 200~300 year-old Muku trees, hackberries, and Carpinus tschonoskiis. The trees have bigger girth than one of adult man's body. These trees have wide branches as their wide girth so they make good shade protecting people from the summer heat. 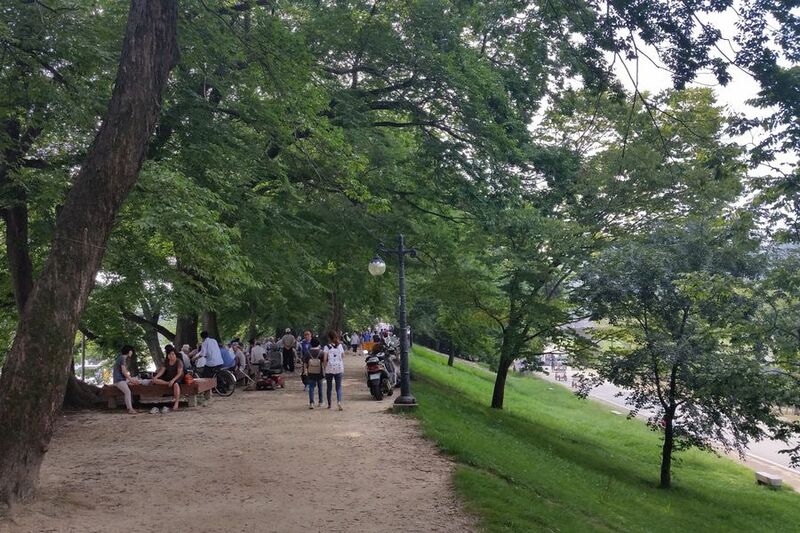 People are peacefully taking a rest under the trees. 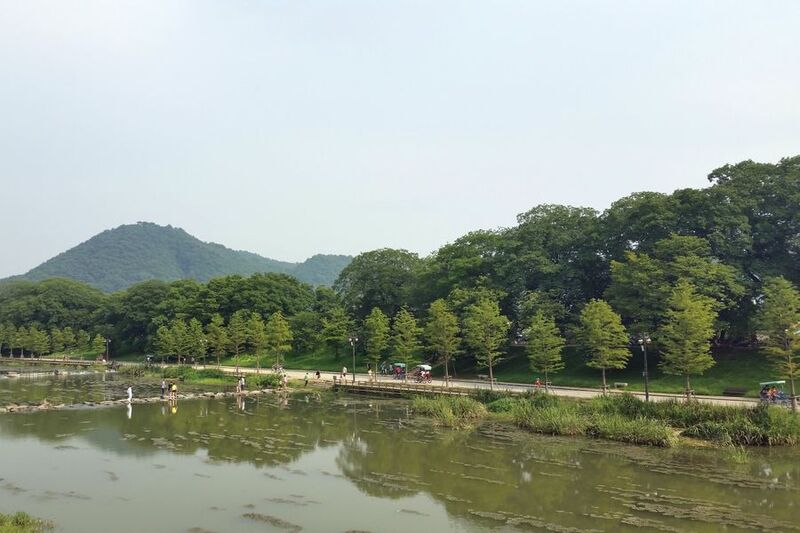 Once the Yeonsan River flooded often, but it seems that doesn't happen now. 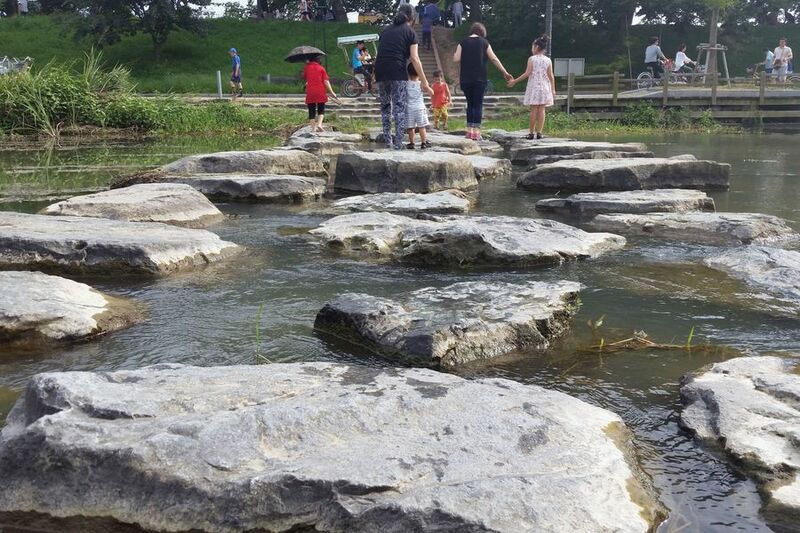 You can even crossthe river on stepping-stones easily. 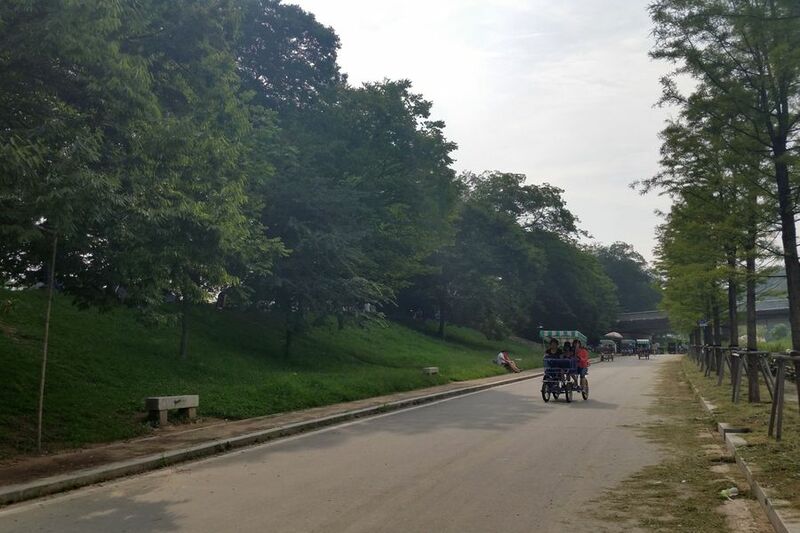 There is a bicycle path at the bottom of the dike, so people can ride bikes with shade canopy as if they run matches and appreciate the Yeongsan riverside. I must be sad if there were not anything to eat on the 2km of Gwanbangjerim. 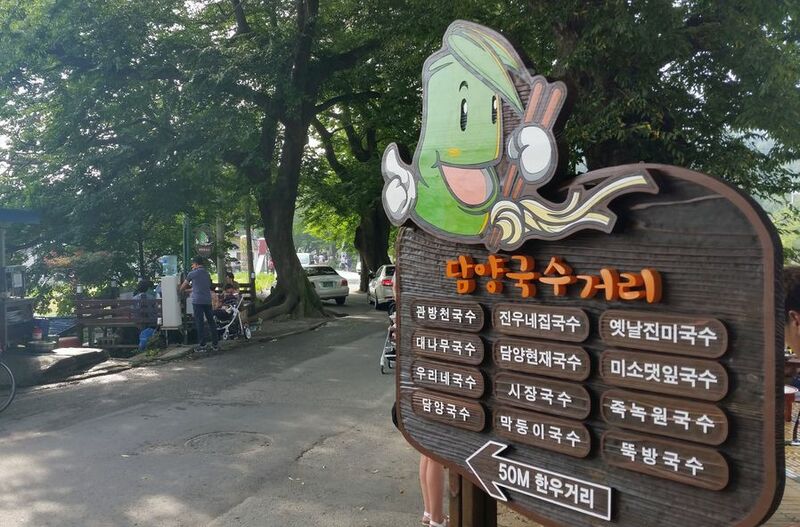 I found 「Damyang Noodle Street」 which is famous as much as Damyang Tteokgalbi. 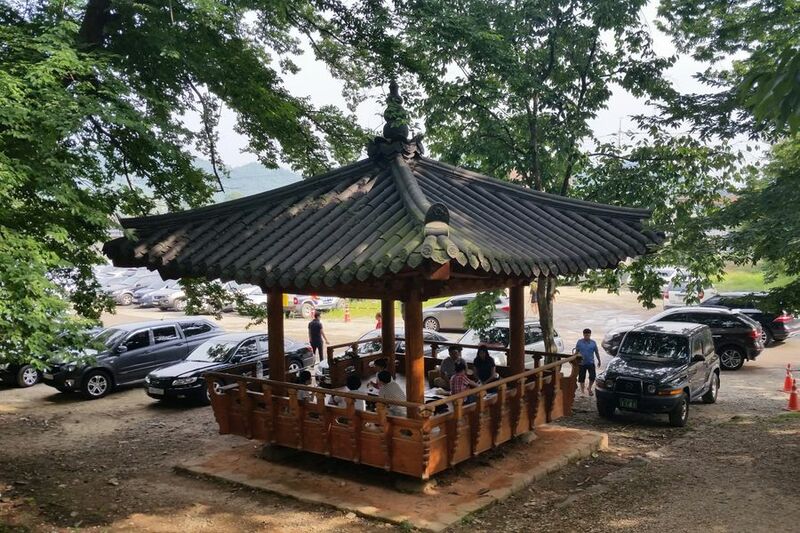 It's told that an owner of this restaurant started to sell noodles after installing Deulmaru tables in front of the shade of Gwanbangjerim. It's known that this restaurant is cheap for the one in the tourist site and it tastes great. 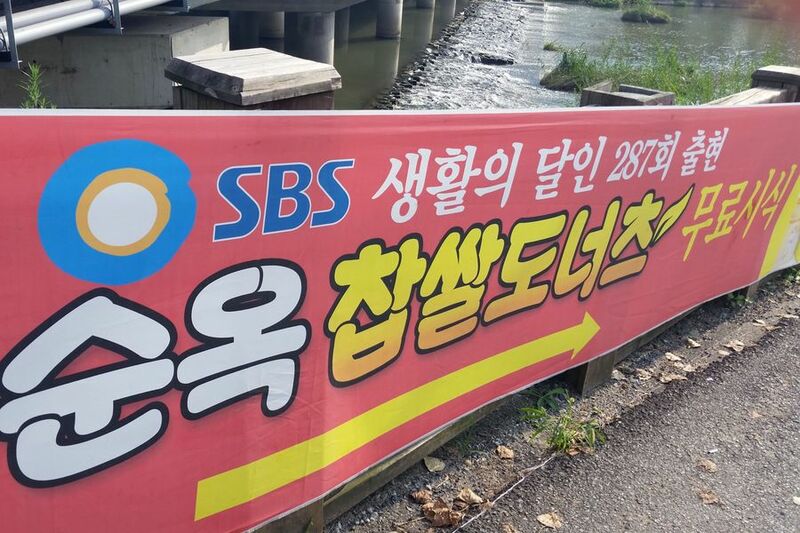 However, we had to throw side-glances at the sign, because we had already chosen Juktongbap and Tteokgalbi as our meal. I didn't verify its taste, but it was proved that each dishes has plenty of quantities. I will have the noodles when I come here again. 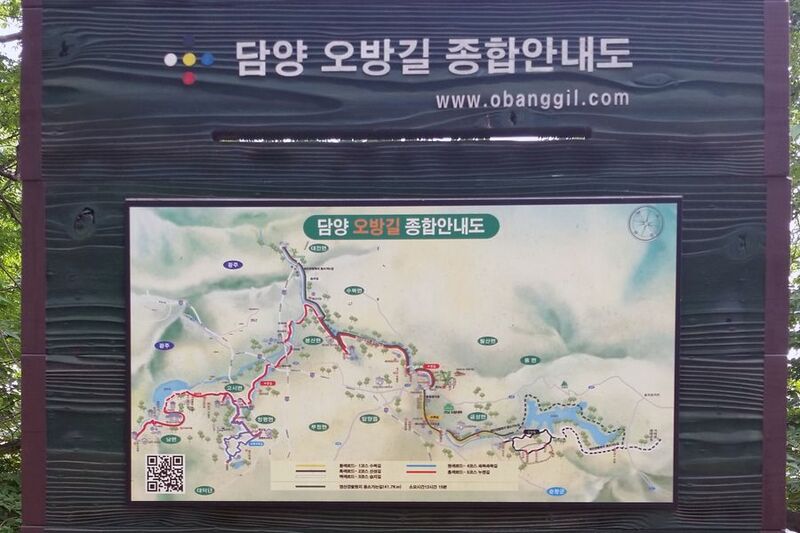 Except for the road around the Gwanbangjerim, Damyang has Obang Road. It's good for trekking and hiking. 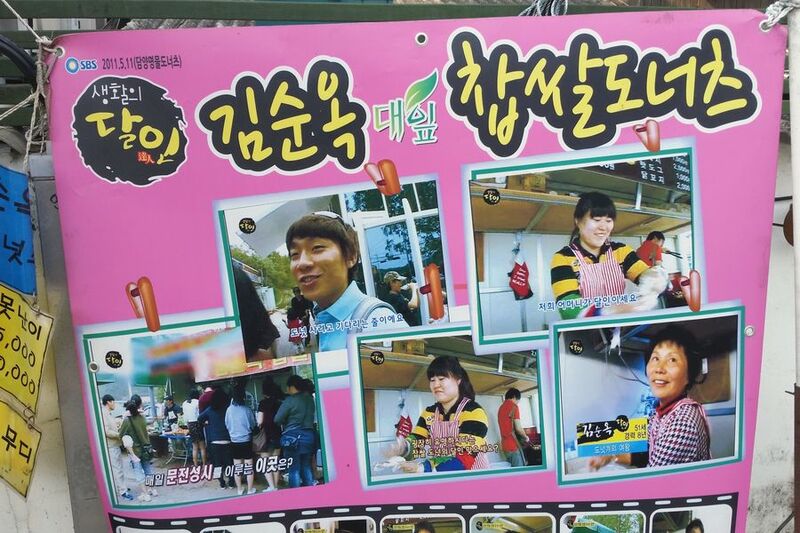 If you go to Damyang, have some noodles of Gwanbangjerim and enjoy walking the 5 colored road~.